The Wirehaired Pointing Griffon dog breed is known for its distinctive appearance and graceful hunting skills. 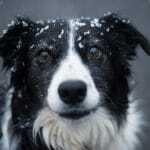 Dogs have a rough coat; the outer coat is wiry and thick, while the undercoat is downy. 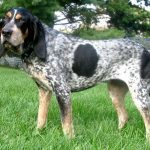 The coat is usually silver, gray, or chestnut with roam or chestnut markings. The Pointing Griffon has large brown or yellow expressive eyes, a large head, bushy eyebrows, mustache, and beard, a long neck, flat pendant ears, and muscular limbs. Wirehaired Pointing Griffons are loving, intelligent, energetic, and skilled in the field as a tracker, gundog, and hunting companion. Dogs are eager to please and highly trainable. 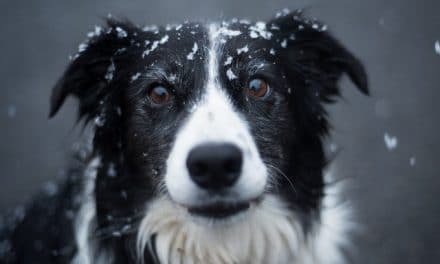 Most are friendly and devoted, but may become nervous with strangers or high-strung if not properly socialized and stimulated. 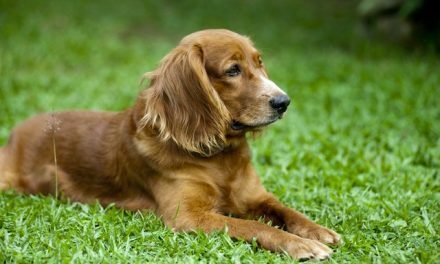 Excellent family pets, this breed is gentle with children and loyal to its owners. 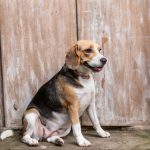 Adult dogs tend to be 20-24 inches tall and weigh around 50-60 pounds. The Wirehaired Pointing Griffon dog breed is not well-suited for apartment living, and do best with large yards. Dogs need extensive exercise to stay happy. Dogs should be taken for long walks, jogs, and runs, and they love to swim and play. Exercise is absolutely essential for this breed. 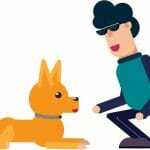 Dogs without proper exercise may become destructive and display problematic behaviors. Dogs look best if professionally groomed twice a year. The coat should be stripped and trimmed. 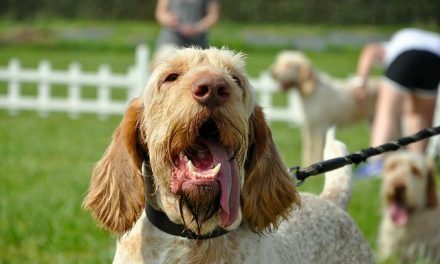 Dogs need to be combed or brushed twice a week, and ears should be cleaned to avoid problems. They are very light shedders. 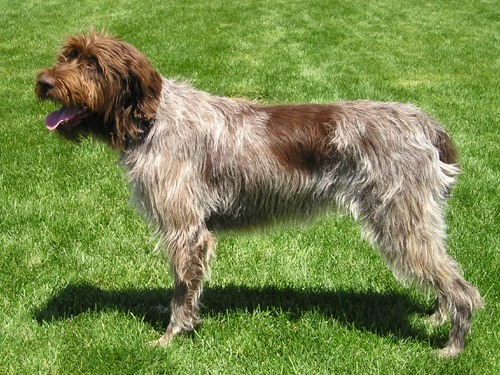 The Wirehaired Pointing Griffon dog breed was developed from 1870 to 1873 by E. K. Korthals, a Dutch Breeder who mixed German Griffons, spaniels, setters, Barbets, and French and German Pointers. 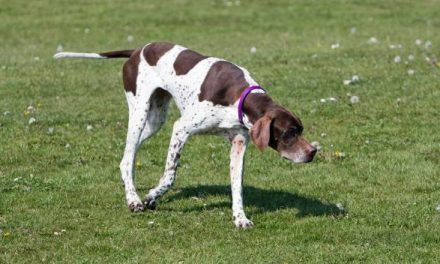 The breed was designed to have a fine sense of smell and to be an enthusiastic, loyal hunting dog. Pointing Griffons are rare in the United States; fewer than 150 puppies are born in the country each year.